Son of John Monks, a commercial traveller, drysalt merchant and former cotton mill manager, originally from Breightmet, Bolton. Both his father and brother, Robert Taylor Monks, were Councillors on Radcliffe Urban District Council. He worked as a junior doctor and later house surgeon at Bury Infirmary before taking over the practice of his uncle, Dr Alfred Taylor, at 50 Bradford Street, Bolton. He continued his practice in the Haulgh and was joined in later years by his son, Dr John Richard Monks Mayor of Bolton, 1970-71. Represented Church Ward from 1909. Alderman 1917. He served on the Public Health Committee from his election and was Chairman from 1919-1924. 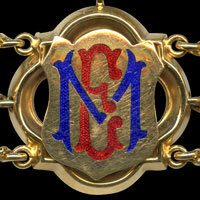 He was a member of the Watch Committee and Chairman in 1928. He was a Trustee of the Bolton Savings Bank. He was Trustee of Roscoe Fold School and in 1920 became a Governor of Bolton Church Institute. 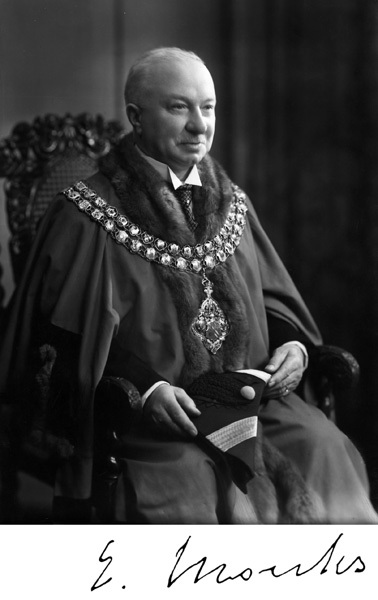 He was a member of Bolton Medical Society and Chairman from 1933. Anglican - he was Warden of St James's Church, Breightmet, Bolton from 1909. 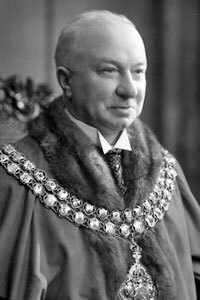 Formal portrait of Ernest Monks as Mayor of Bolton. 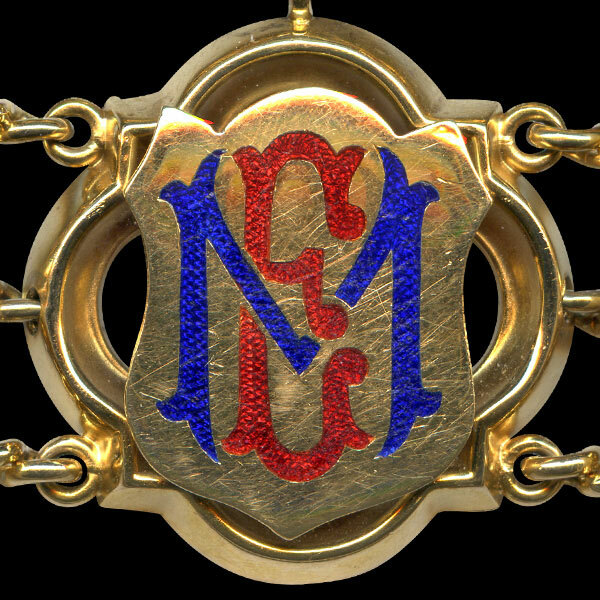 Ernest Monks's link on the Mayor of Bolton's Chain of Office.